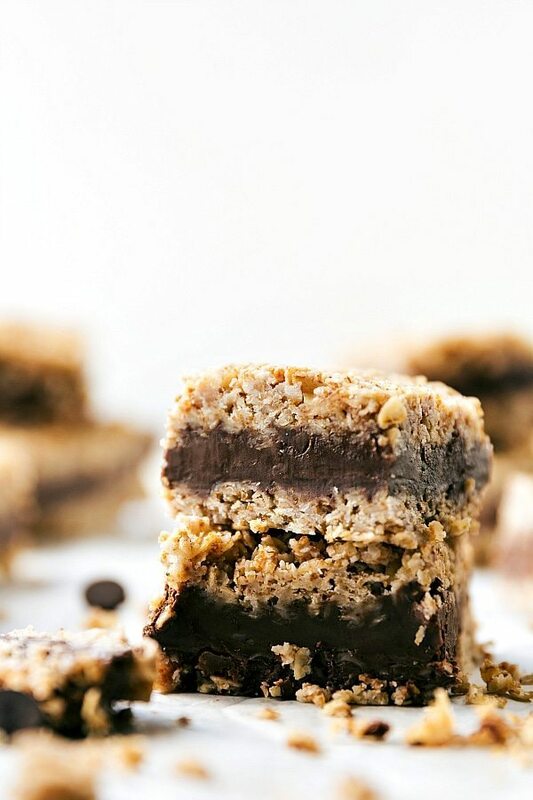 No baking required for these healthier chocolate + peanut butter oatmeal fudge bars. 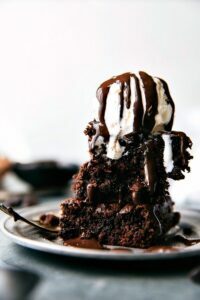 A thick peanut butter chocolate fudge layer in the middle of 2 oatmeal layers makes for a fun and unique treat. Happy Friday!! I’m especially excited for this Friday because it is the opening ceremony of the OLYMPICS! Who’s watching tonight? My family grew up always watching the Olympics, it was one of our favorite things to do together. We didn’t watch all the events, but we each had our favorites that we did not miss. Although it’s not a part of the Summer Olympics, my favorite sport has always been the figure skating. When I was younger, I was completely obsessed with figure skater Michelle Kwan. I remember doing one of my elementary school research projects about her and being so excited to present about such an amazing athlete. And as far as summer Olympics, the beach volleyball is my absolute favorite event. I could watch that for days! What Olympic sports are you going to be watching this year? I’m also a little more motivated to eat more wholesome snacks while watching the Olympics after learning more about some of these athletes intense dedication to their diets. 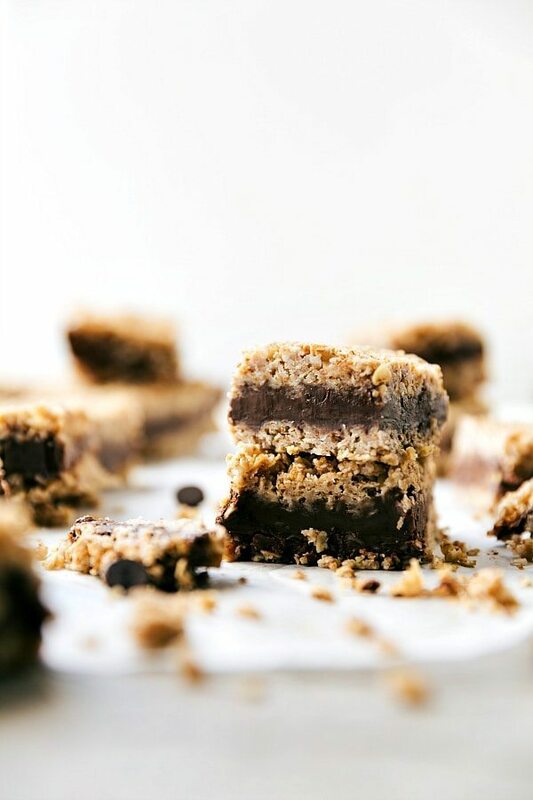 While we are watching the Olympics this year, these no bake and healthier chocolate peanut butter fudge snack bars are on our snacking menu. These are so quick & simple to make, and absolutely delicious while being free of refined sugar. 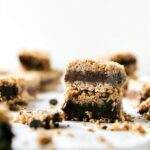 They are made healthier with better and less refined ingredients — oats, unsweetened coconut, coconut sugar, coconut oil, dark chocolate, and peanut butter. 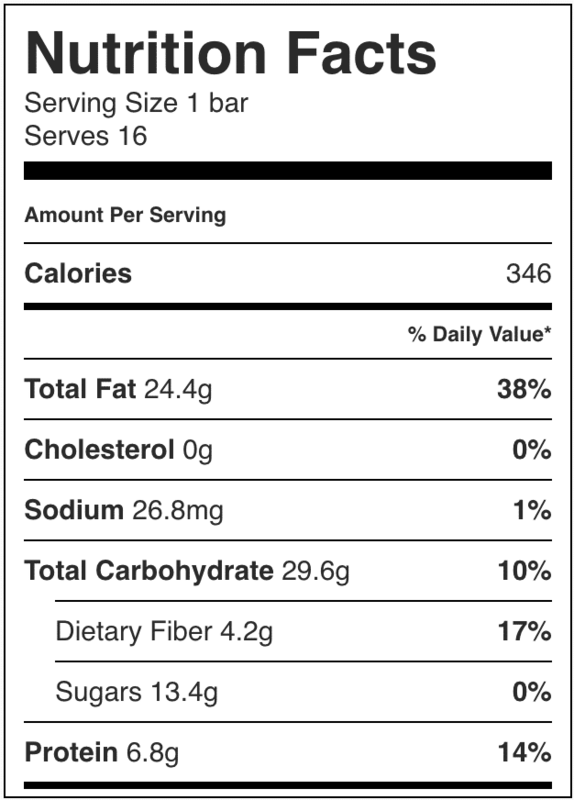 Although all of these ingredients are high in calories, they are extremely filling and have a lot of protein, fiber, and good nutrients. These bars are also super rich so just the tiniest square will have your sweet tooth quelled! ? Take the coconut and pulse in a blender or food processor for about 15 seconds. Measure AFTER blending to make 1 cup total. Add to a bowl with the quick oats, pinch of salt, coconut or brown sugar and vanilla extract. Melt the coconut oil and measure it when completely melted. Pour over the oat + coconut mixture and mix until well combined. Press a little over half of the mixture into the bottom of the pan. Press the mixture very firmly. 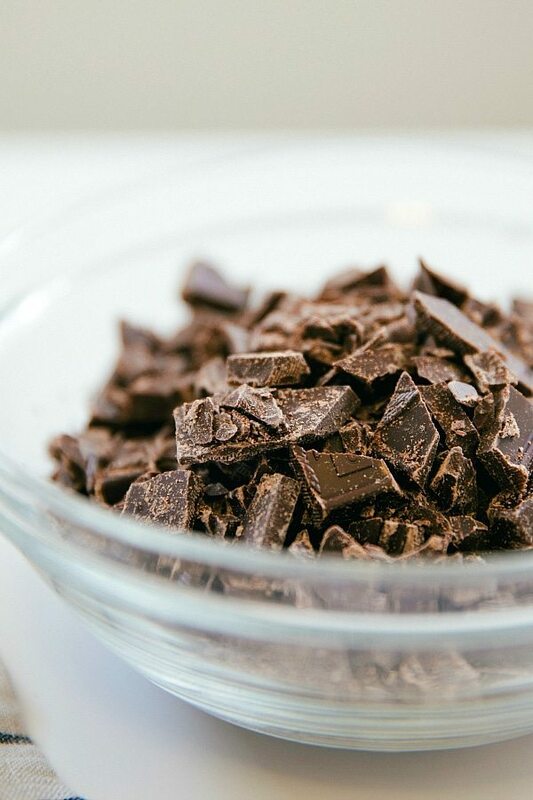 In a microwave safe bowl, combine the peanut butter and chocolate chips. Melt in the microwave in 15 second bursts, stirring in between each burst for 10-15 seconds. When the mixture is completely melted pour and spread evenly over the bottom oat layer. Take the remaining oats and sprinkle evenly over the chocolate layer. Press as firmly as possible without pressing it into the melted chocolate layer. Cover the bars and place in the freezer for at least 2 hours. Enjoy straight from the freezer and return any leftovers to the freezer or fridge. My family also grew up always watching the Olympics, but this time the Olympics is very especial because it is in Brazil. I am here and I am going to watch the male soccer game because one of the games are going to be in the city that I am right now. But my favourite spot has always been the Olympic gymnastics! The recipe sounds delicious and easy! these are loaded with fat! How can they be called healthy? Fats are a very important part of a healthy diet — they are very good for you in moderation!